Seamless Gutters are the most popular type of rain gutters installed today. The gutters are called “seamless”, because they are made to the exact length needed. Unlike sectional rain gutters that are made from thin metal or plastic, having many unsightly seams that leak. Seamless gutters are made from a long spool of flat metal that goes through a machine to form the shape of a rain gutter. A spool of flat metal can make over 1000 feet of gutter. Seamless Gutters can be heated, helping to prevent ice build up of roofs. The most common type of seamless gutters are known as “K-style”. 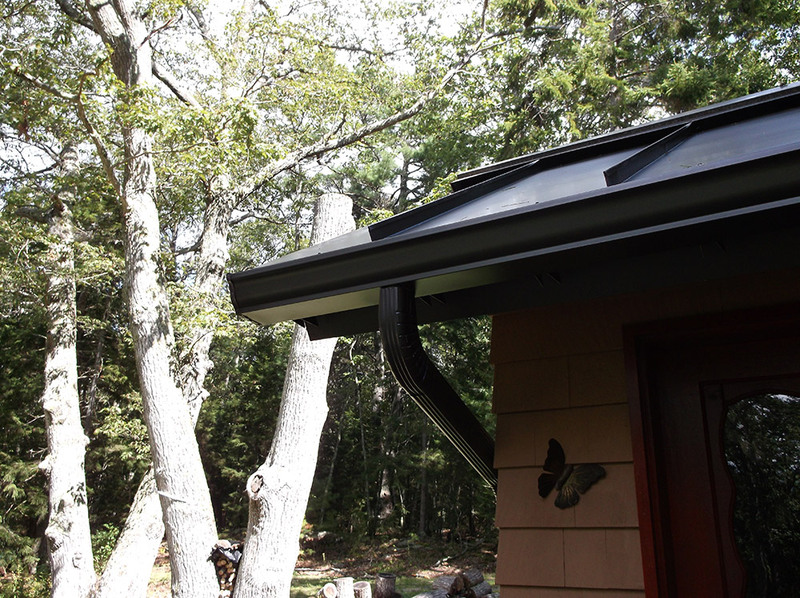 K-style seamless gutters resemble traditional crown molding found on many homes. Available in either aluminum or copper, K-style seamless gutters protect your home from damaging rainwater, while adding value and enhancing the beauty of your home. 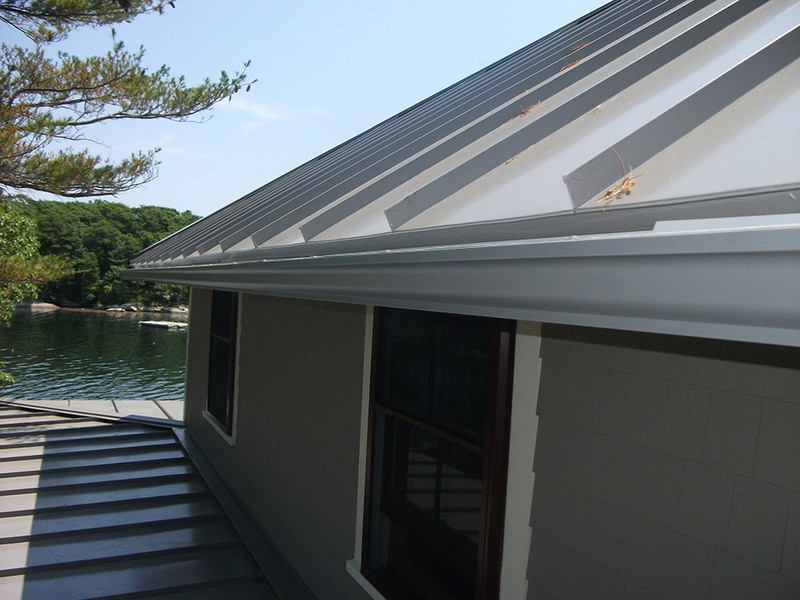 Aluminum K -style seamless gutters are available in over 30 colors, having a baked on enamel paint finish that will not chip, crack or peal. The aluminum is .032 inch thick, for a super strong gutter system. Copper K-style seamless gutters are made from either 16oz or 20oz red copper. When installed, copper gutters have a beautiful shiny surface. Over time, copper gutters attain a rich deep patina finish. 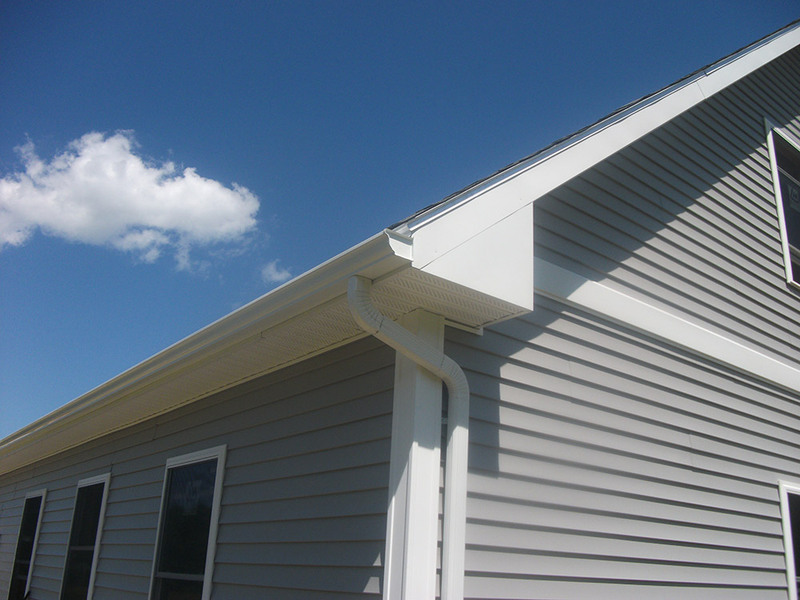 K-style gutters are available in standard 5 inch and high capacity 6-inch sizes. Gutter Service Of Maine LLC manufactures seamless gutters using a steel drive roll forming machine. This heavy roll forming machine produces a more distinctive gutter than lighter weight roll forming machines. Chad Johnson first manufactured gutters using a roll forming machine in 1987. Seamless gutters are also available in classic “half-round” style. 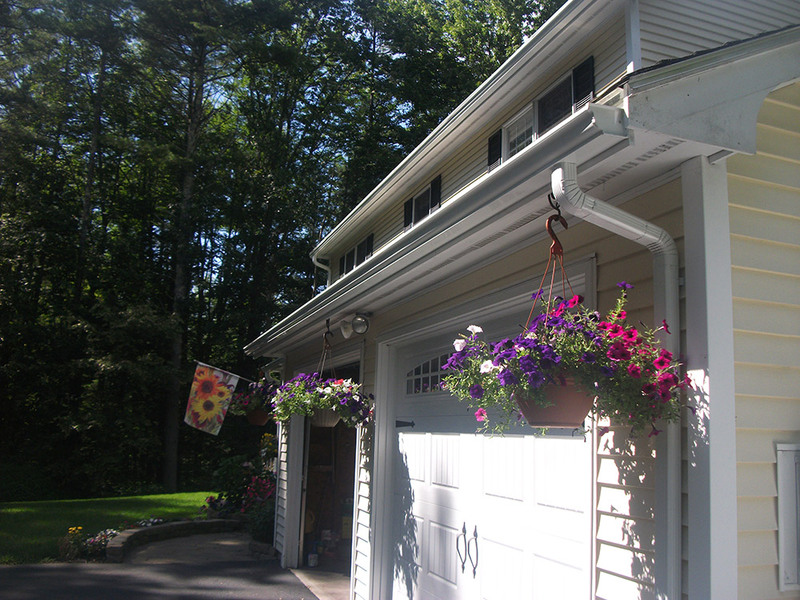 Half-round seamless gutters add distinctive classic detail to a homes exterior. Half round seamless gutters are often the choice for historic renovations. Available in 5 inch and 6 inch sizes, copper and aluminum, with several colors and decorative accessories to choose from. There are several types of brackets and hangers available to install seamless gutters. The type of installation used is determined by a homes face board detail and water capacity needed. 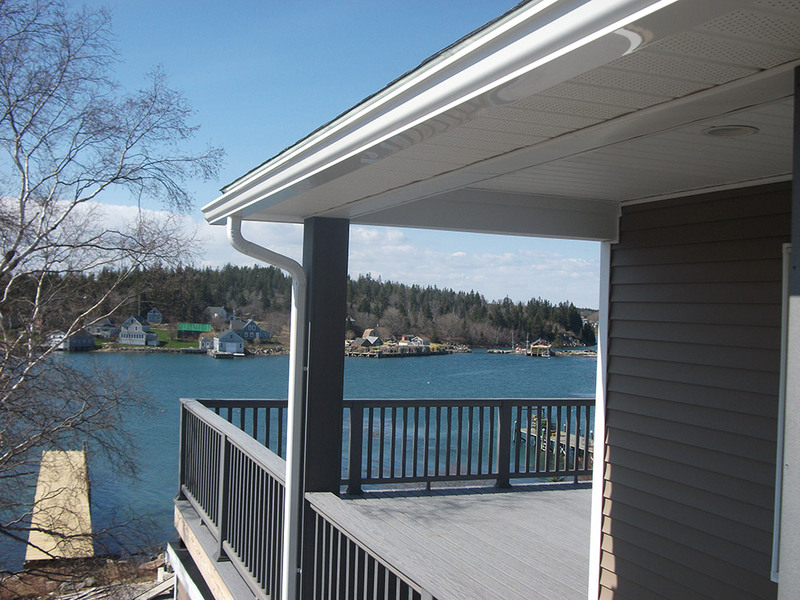 Only using the finest gutter products and best installation methods, Gutter Service Of Maine LLC will work with you to determine the best gutter system for your home.